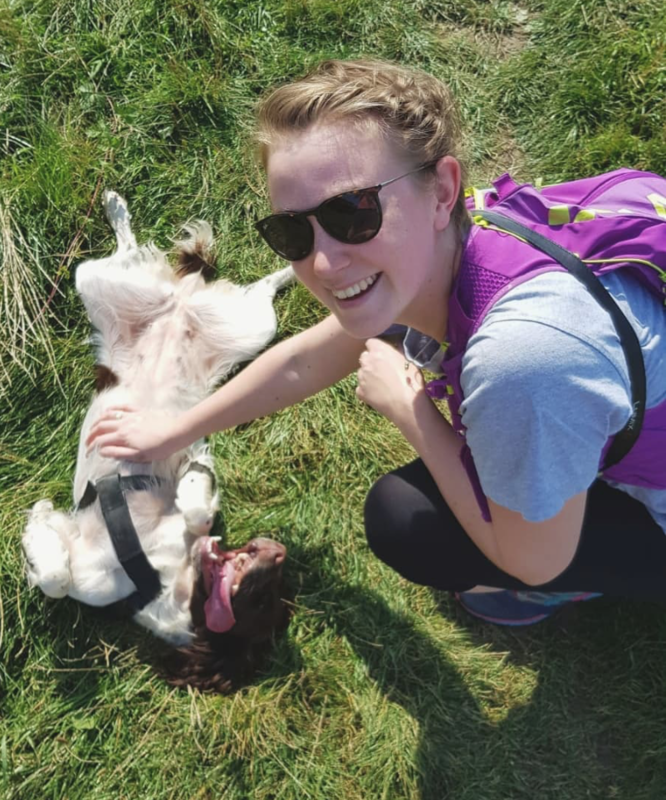 Getting a dog was something that we’d been wanting to do for a really long time and the time finally came when we moved out of rented accommodation and into our own house. Based on my own experience I’ve put together some scribbles on what to expect if you’re think about getting a dog of your own. So at the start of September, our new fur-baby Flo arrived from the farm in Wales to a small North Yorkshire city. It was quite the change for her and she was definitely unsure of where she was and how to behave. While she was a minx at home, this was an ideal break in her behaviour for us to capitalise on. That of course sounds ruthless but it was necessary for laying some ground rules on her behaviour in the house, who was boss and how we expected her to behave. She’d been an outdoor dog for three and a half years so moving indoors was a big change for her. It was also the first time she’d been away from her mum – turns out that whether they’re eight weeks or three years – it’s traumatic to be taken away. When you’re thinking about whether to get a dog, it’s important to figure out where it’s going live and whether your environment is suited to one. We looked for our house with buying a dog in mind and this meant that it needed to meet certain criteria, such as a hard floor downstairs and a secure area for it to be outdoors in. So when we found our little house with its large tiled floor kitchen, it was perfect and reminded me of growing up in the farmhouse where the kitchen was the centre of the house. A dog would make it. It’s been tough sticking to the rules, as her puppy-dog eyes hit you right in the heart to try and get what she wants, but in the long run it will be better for everyone to keep her consistent in her behaviour. We’d agreed on a few things before she arrived, which helped to make things clearer for her in a time when she was stressed out. She needed to sit and wait before entering the house or going through a gate. Some of these may seem heartless to you but they’ve really helped establish a routine for her and set boundaries of who is in charge. She doesn’t beg and she doesn’t barge us out the way going into the house or through gates. It’s been really hard to resist the eyes, especially (for me) when it comes to her not being allowed on the sofa. Do you get a puppy or an older dog? I think this is one to seriously consider and varies on your lifestyle. I really wanted to get a puppy but realistically this wasn’t practical as both me and Tom work. Tom is based at home and I come back in my lunch break to see her but that time would need to be much higher with a younger dog. Flo came to us when she was three and a half years old and she was enough of a handful and we were expecting it, knowing her history and behaviour. I think if you have a puppy you need to be around home a lot. While I wasn’t around for raising the litter of pups that Flo came from at home, I could see just how much work it was for my parents when I was back for the weekend. The pups need constant attention and feeding, which although Flo needs (and loves) it’s not to the same extent. It wouldn’t be fair on a pup as we aren’t around to raise it properly. This is one to think very carefully about as some dogs will be much more suited to different lifestyles than others. Research the breed carefully as some dogs will be yappy, some dogs will have endless energy and will need walking miles and miles each day and some will typically be more aggressive than others (this is largely down to how the dog is raised but if you’re rescuing it’s one to be aware of). There’s a lot to think about – don’t just buy a dog because you like the look of it or you could end up taking on more than you can handle. This leads on from choosing which breed you get. Some require much more than others. 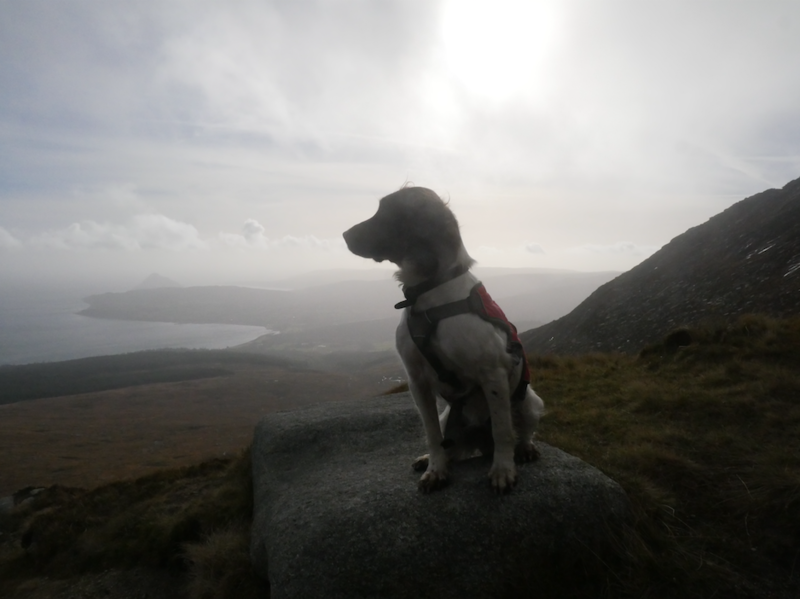 For example, Flo is a Springer Spaniel, bred as a working dog, and so is very high energy and needs a lot of exercise. In the first month of getting her I walked over 100 miles and the number of longer walks we’ve been on has increased a lot, and we’ve had to find areas where we can safely let her off the lead so while we walk 10 miles or so, she will run (fast) almost double that (probably). 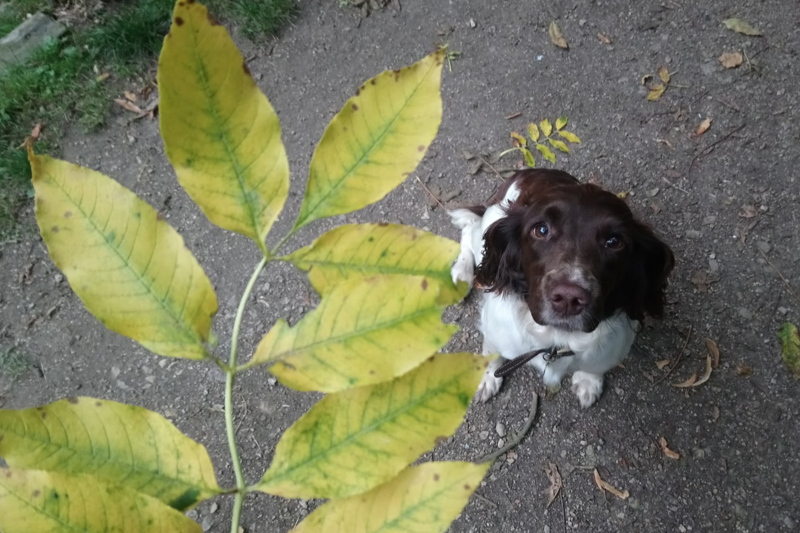 Not one that we struggle with, as Flo is indifferent to other dogs, but is one I find hugely annoying is when we’re out walking and other dogs run up to Flo and basically mob her. I wouldn’t let Flo do that (if she was so inclined) as that other dog may be nervous around or aggressive to other dogs. Seeing Flo get pounced on I do not appreciate the lack of control or indifference to the situation other owners often show. Dogs do not eat like humans. They’re opportunistic feeders, never really knowing where their next meal comes from and so they will take every opportunity to eat, which is why it’s so important to resist those puppy dog eyes. If you don’t they will over eat and gain weight. Specific measurements of food will vary from dog to dog so consult your vet. So far, we’ve not had huge bills but even a few jabs set us back £75 (which wasn’t too bad but is still £75). It’s definitely worth considering pet insurance for health and third party cover, too, which sets us back £10 a month. Again, that’s not a lot of money but if it’s still money you need to take into account. Food can be expensive, too, so it’s worth deciding what you’d buy and figuring out what your dog needs on a daily basis. Flo’s currently on three meals a day so we get through a bag of biscuits pretty quickly. Other expenses, small but valid, are dog poo bags (Flo goes through about 5 a day…), flea treatment, worming treatment, treats, toys, beds, grooming, brushes, shampoo (don’t use human shampoo on them). If you’re not in a position to be around much in the week for your dog, then you’ll need to factor in costs of a dog walkers or sitter, too, which adds up. In our area, it’s £10 a walk for a group walk. But come on, look at that face. It’s worth it. Keeping the dog and the house clean is a lot of work. She loses hair on an epic scale, which means that the hoover is usually out every couple of days and I’m already looking at buying a hand vacuum to cope with areas that our old Dyson can’t cope with. This is definitely part of the reason she’s only allowed on hard floors. The dog – what with all her diving in and out of undergrowth on her walks – needs a regular scrub, too, otherwise you kind of forget she’s white. We also have two beds for her as her bed in the kitchen, which she sleeps overnight in, gets really grubby. So that’s through the wash once a week. She also has a selection of old towels dedicated to her to dry her off after a walk and these need washing very regularly, too. There are so many plus points to getting a dog. We’ve had so much more fresh air than we ever did before – I walked over 100 miles with her in the first month alone. I’m hoping to build up to running with her over the next year. So, it’s given my mental health the real boost it needed for getting outside, exercising and being in nature. Walking with a dog is (mostly) a really amazing experience as they are so happy about everything – it’s amazing how much it lifts your mood. It’s also a great feeling to be responsible for somebody other than yourself. A dog is so utterly reliant on you to look after it that it becomes all you think of. 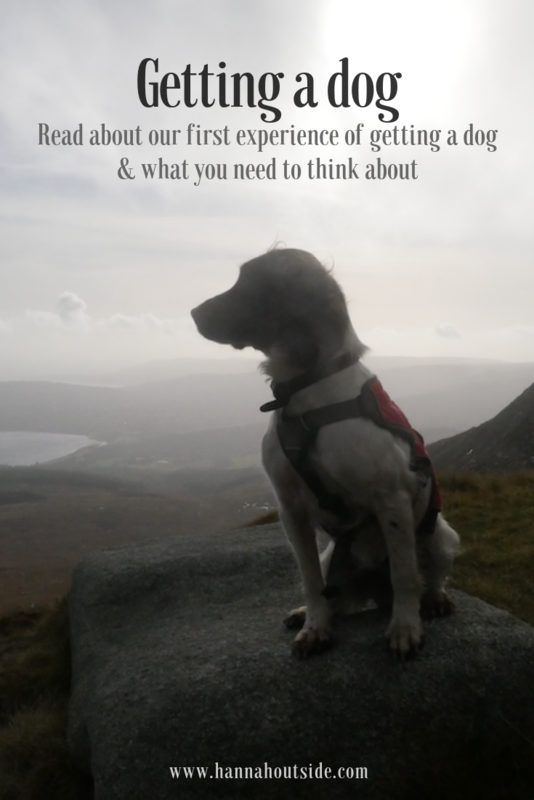 It’s definitely a life changing experience to own a dog (I hear all you people with children laughing!) but seriously, it’s not one to take lightly. This blog is based on my own experience. If you have any questions on raising your dog I’d advise going to your vet. Watch out for my blog on going away with your dog! Coming soon!